The XT-WRC transmitters and receivers are designed for use in various wireless remote-control applications. When triggered with an external dry-contact switch, the switch transmitter will send a digital encoded, FSK modulated signal to its companion control receiver. The receiver will verify the digital code and then activate its relay output. The XTR-WRC-900 Series Wireless Industrial Remote-Control System is for remotely activating equipment from a distance up to 6 miles away using license free wireless communication. The switch transmitter is equipped with up to 4 contact closure inputs that are used to control SPDT Relays in the receiver unit. Models are available with 1, 2 or 4 control lines. Units are activated with dry-contact switches or connected to a PLC for automated control. Power for the transmitter or receiver can come from any external 12-24V DC power supply or battery. An internal fuse protects each unit from a reverse power connection. NOTE: UNITS ARE FACTORY PROGRAMED AS A SINGLE MATCHED SET. 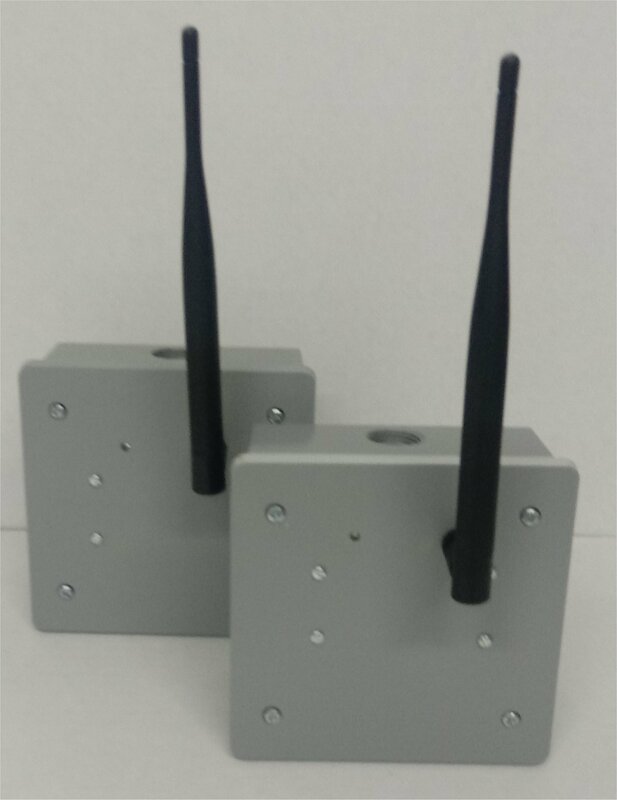 IF YOU WANT TO USE ONE TRANSMITTER TO CONTROL MORE THAN ONE RECEIVER, OR MORE THAN ONE TRANSMITTER TO CONTROL A SINGLE RECEIVER, PLEASE CONTACT US PRIOR TO PURCHASING SO WE CAN CUSTOMIZE A GROUP OF UNITS FOR YOU SPECIFIC TO YOUR APPLICATION. THERE IS NO EXTRA CHARGE FOR THIS SERVICEE. This product is approved for use in USA.